Sitka is on the west side of Baranof Island and faces Sitka Sound, a large inlet off of the Pacific Ocean. 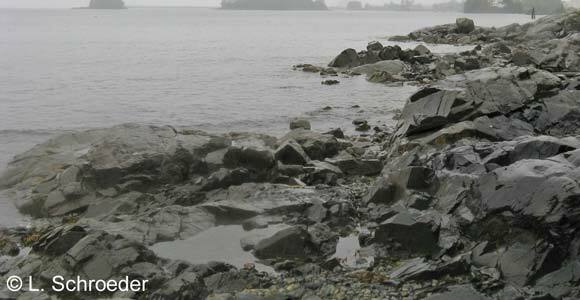 The beaches in and around Sitka are a typical mix of cobble and sand with some rock outcroppings. There are also numerous tiny islands, just offshore from Sitka. Due to the nature of the data, this list will not be rated for frequency of occurrence. It is also a very incomplete list.